As promised, 20th Century Fox unleashed the latest – and arguably greatest – X-Men: Apocalypse trailer earlier in the week. Included in that sizzle reel were jaw-dropping shots of Apocalypse wreaking havoc on a truly global scale, with Sydney and its iconic opera house being turned to dust, not to mention all-new looks at the film’s core casts of mutants. But the one money shot that sent X-Men fans into a collective tailspin was included at the very end, featuring a trio of very familiar (and likely adamantium) claws. Could they belong to Hugh Jackman’s Wolverine? Bryan Singer recently addressed that very question in a trailer breakdown hosted by Empire. Dancing around spoilers, Singer began by telling fans to “make of that what you want,” but further in the piece the filmmaker did note that the inclusion of Jackman’s mutant is fundamental to the X-Men: Apocalypse arc, allaying fears that Wolverine’s involvement had been tossed into the mix for the sake of fan service. Make of that what you want. I will say, it’s not simple. There’s something more pivotal that occurs with that. It hints to a sequence that again fits within the canon of all six movies, and the birth of a new direction. It’s not insignificant, nor is it simply just a throw-in… It’s not the only shot you’re gonna see, let’s put it that way. 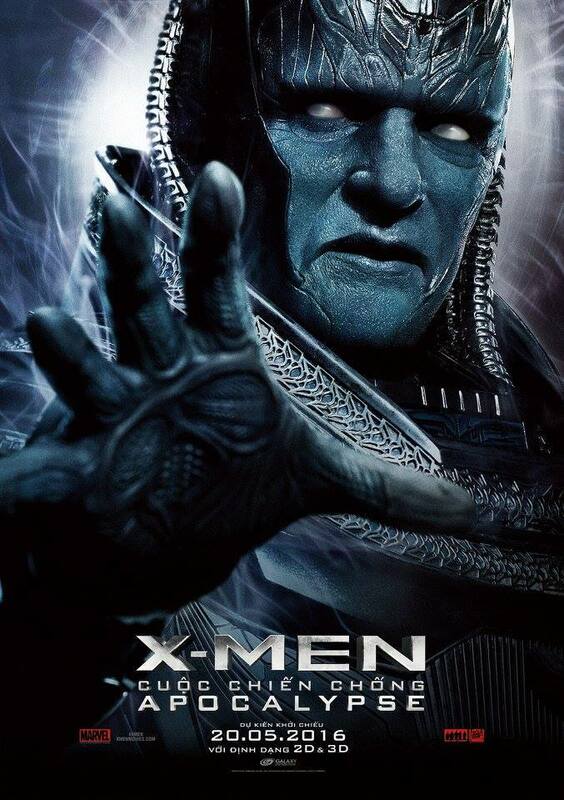 With Jackman all but locked to make a fairly significant appearance in Apocalypse, the remainder of the cast list boasts James McAvoy, Jennifer Lawrence, Nicholas Hoult, Tye Sheridan, Sophie Turner, Evan Peters, Kodi Smit-McPhee and Nicholas Hoult, along with the Four Horsemen themselves – Michael Fassbender, Olivia Munn, Alexandra Shipp and Ben Hardy. Only the strong will survive when X-Men: Apocalypse descends into theaters on May 27. To go up close and personal with Oscar Isaac’s all-powerful deity, you can feast your eyes on En Sabah Nur’s character poster, below.